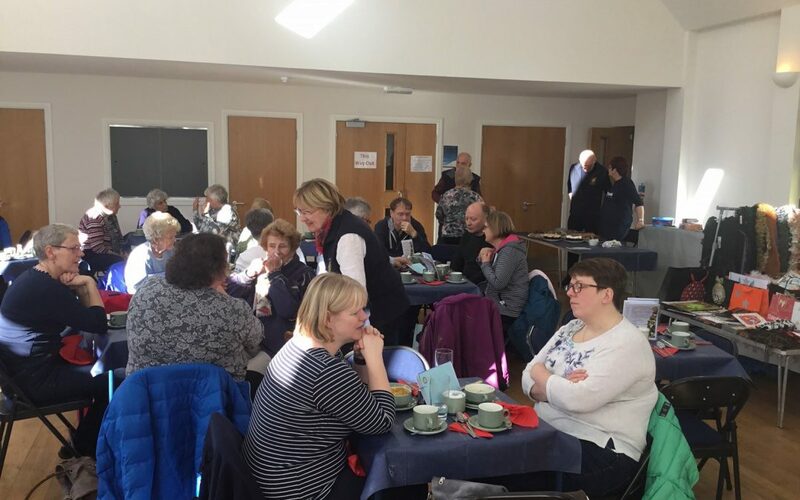 With the temperature dropping to minus 2 degrees on Saturday morning, the Rotary Pop-Up Café, with its range of three hearty homemade soups, an array of sandwiches and delicious home baking pulled in nearly 150 people to the D-Mac Hall on Saturday 27 October. 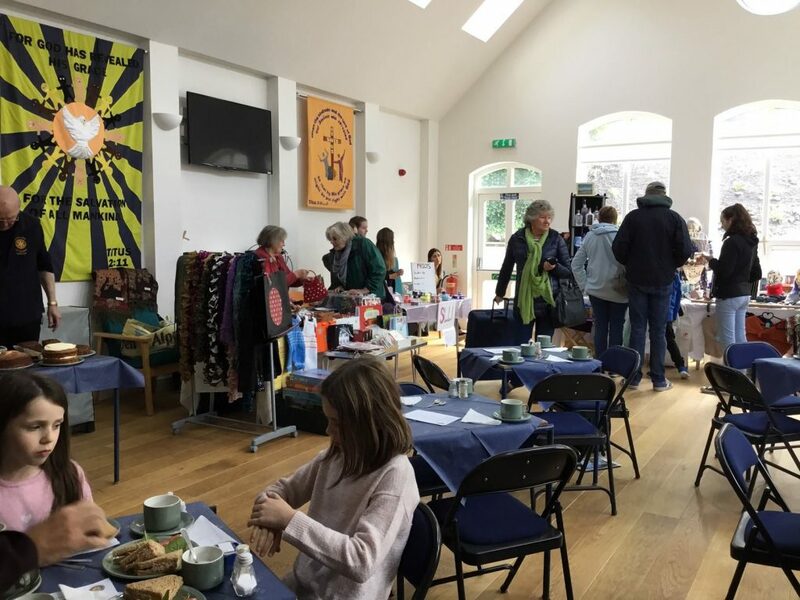 The Club’s final Pop-Up café event of the season certainly hit the spot with locals, with a steady stream of visitors all day giving a good return for the crafters. Club President Iain Johnston said he was pleased with the turnout and added “Just after 12.30 pm there wasn’t an empty table in the hall. We entertained people who had travelled in from Invergarry and Mallaig, as well as a number of tourists passing through the town”. 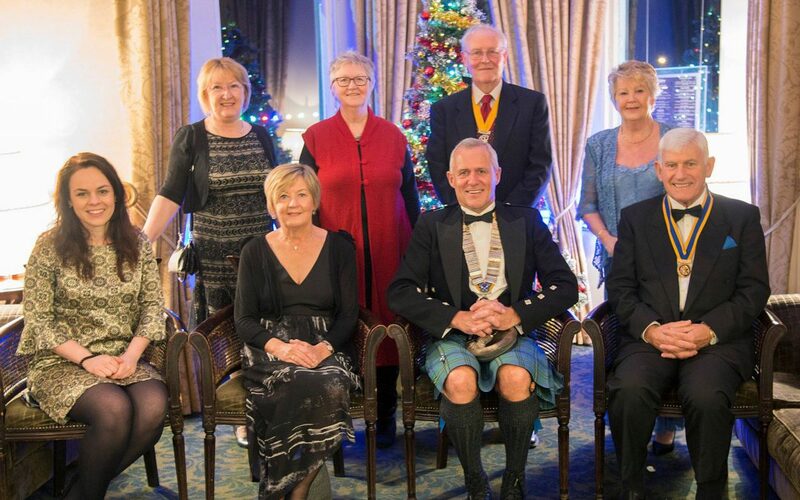 Another successful Rotary Club Annual Charter Dinner was held on Saturday, 1st December. Nearly 70 Rotarians and guests were treated to an excellent 4-course meal at the Alexandra Hotel, Fort William and enjoyed a sparkling after-dinner talk from their constituent MSP Kate Forbes – just fresh from being awarded a “Rising Star” accolade at the Herald’s “Scottish Politician of the Year” award. Kate’s talk focused on Scottish identity and our perception of ourselves. She, herself, had a “very confused upbringing”. Originally from Dingwall, she lived in India for eight years (the only Scottish child who went to school in a rickshaw! ), then Glasgow, before returning to Dingwall Academy. She then studied at Cambridge and Edinburgh Universities graduating with a BA Honours in History and an M.Litt in immigration studies. Kate admitted that “politics is my bread and butter”. She worked in Dave Thomson’s support team before succeeding him and being elected MSP for Skye, Lochaber & Badenoch in 2016. She described her constituency as the “best in Scotland”. 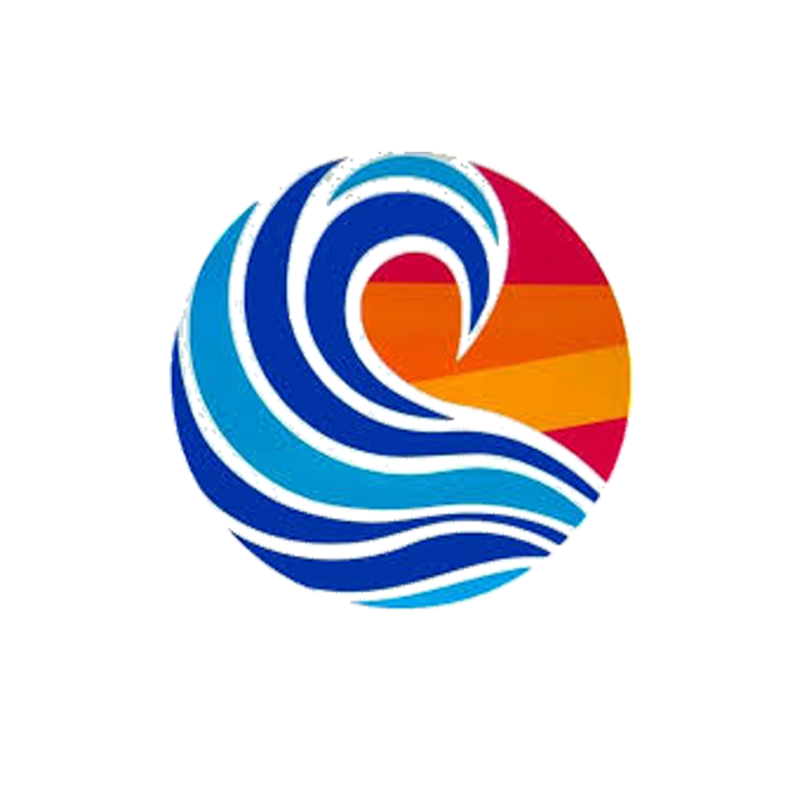 Turning to Rotary, Kate said she was very aware of the work of the Rotary Club and its involvement in mentoring youth, advising on career choices and opportunities. Kate said “I’ve benefitted enormously from the work that you do” and concluded by proposing a Toast to the Rotary Club of Lochaber”. John reminded those present that the Herald had also picked out Kate as “one to watch” in the Scottish political arena and added his own accolade – “you’ve done no bad hen” – before wishing her well in the future”. Front row: Kate Forbes MSP, Vivien Johnston, President Iain Johnston and Oban President Iain MacIntyre. 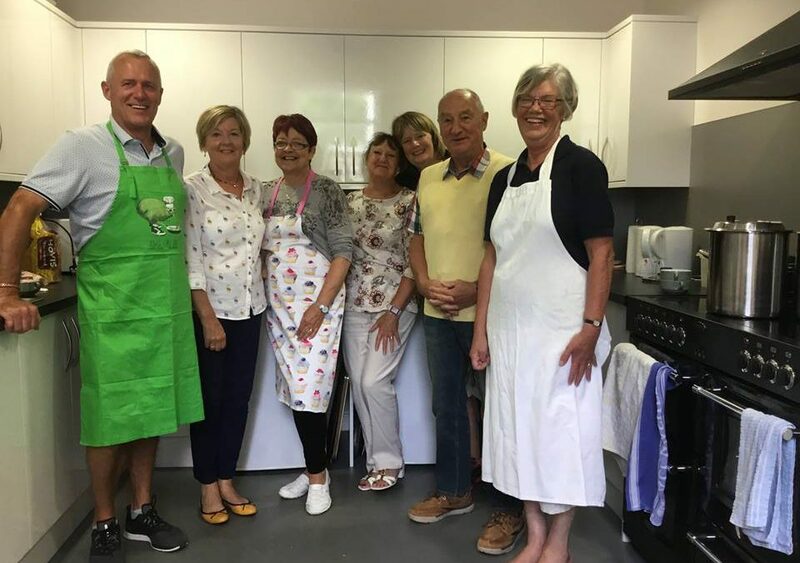 With good support from both locals and visitors, the Lochaber Rotary Club opened the first of its three Saturday pop-up café events on the 14th of July. The pop-up café, which is situated in the hall at the Duncansburgh MacIntosh Church on the Parade Green, will be open again on 22nd September and 27th October when, once again, tea/coffee and cake/traybake will be available from 11 am till 3 pm, with soup and sandwiches being served from 12 till 2 pm. All the dishes are homemade, with a range of amply filled sandwiches, a choice of three soups and an array of cakes and traybakes. Apart from the cost of renting the hall, the Club has no other overheads. All the income goes to worthy charitable causes. Club President Iain Johnston said “While we were delighted with the public support we could have comfortably welcomed more. We entertained around 60 people in the café. 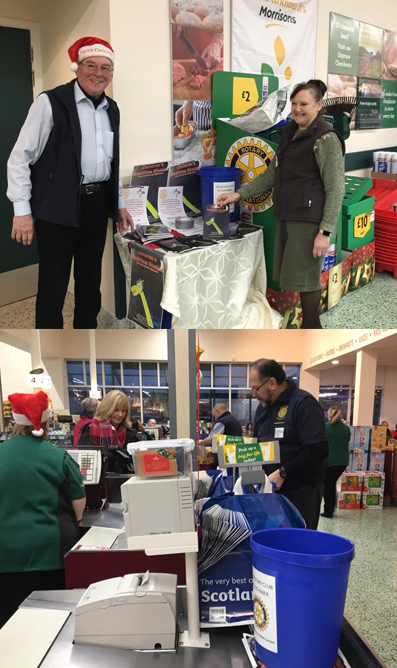 It was a fantastic atmosphere and a great time was had by all.” Iain added, “Thanks also to my Rotary colleagues for all their hard work and to Sheila Sutton, widow of the late Past-President Mick Sutton, for her support”. Photo – The Rotary “Pop-Up” Team who made the event a great success… Missing are Mike MacGruer and Terry Lee. Our Primary 4 pupil had a fantastic time helping Santa on his sleigh. 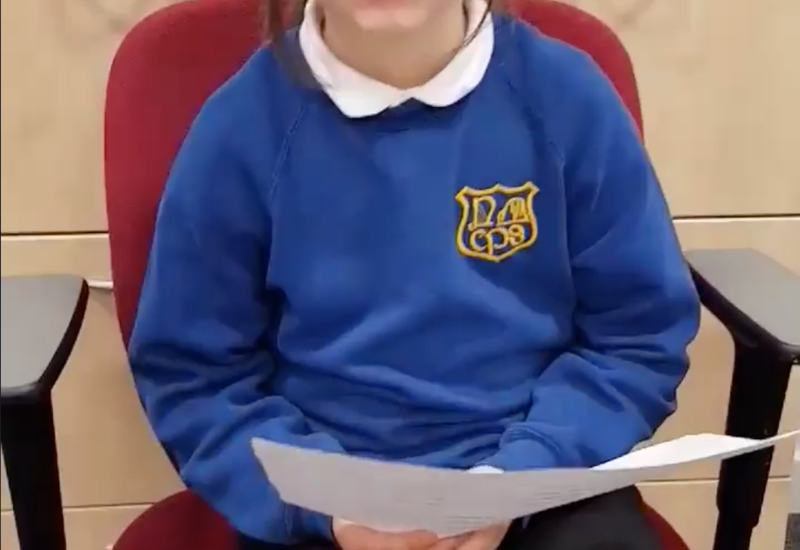 Here she is reading the Christmas card verse she wrote for the Rotary Club competition. Not only is it very well written she reads it so well too. 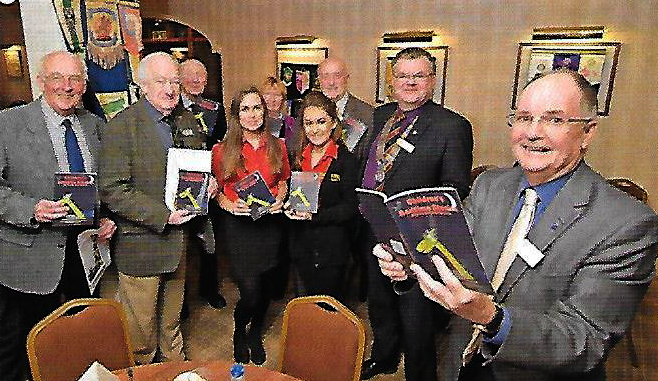 Thank you to the Rotary Club for giving her such a fantastic opportunity. Thanks to everyone who came to our book launch at The Highland Bookshop. A report with pictures will follow. Thanks to Sarah Lou and everyone at the bookshop for their incredible hospitality. Illustrators Connor, Kerr and Rocco were there too. The next big event for the book will be our sales at the Rotary Christmas Festival.